3-D Monster: The Zombie Apocalypse... ROCKS!! 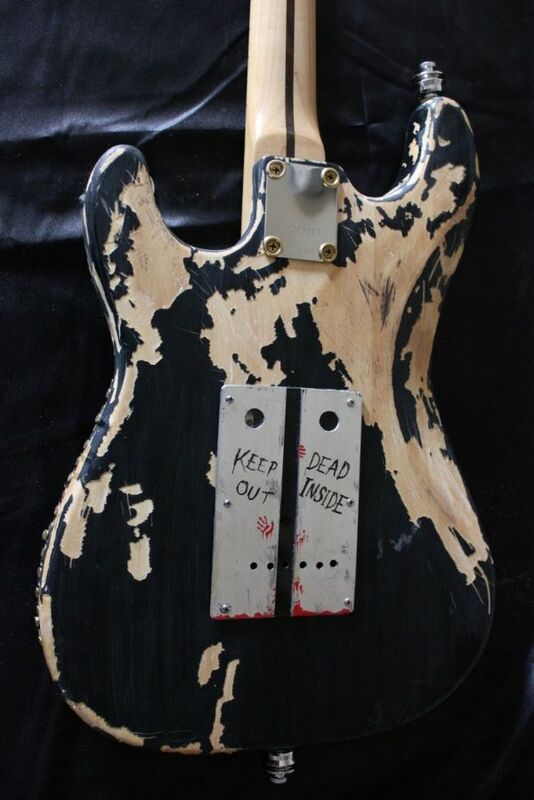 The dead are rising..to rock! 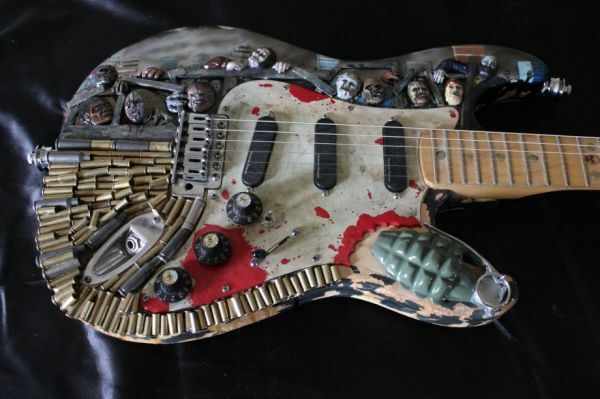 Custom guitar builder Travis Stevens has the perfect guitar for protecting yourself during the coming day of the dead. The back panel references the pilot episode of The Waking Dead. You can view more photos at the link.